Wondering what everyday work expenses you can claim back on your self assessment form? Here are some expenses that a PAYE paying employee can claim. It is also worth noting that if you were entitled to tax relief on any of these expenses in previous years, but did not claim them, most can be back claimed to your 2013/14 return. You must keep proof of all expenses, bills and mileage you are claiming for. HMRC may ask you for proof of both the expenses and their business use. For more help with self assessment see our Guide. Mileage. If the mileage allowance that your employer pays you is less than the HMRC rate, you are able to claim the balance. The first 10,000 business miles, according to HMRC, can be claimed at a rate of 45p per mile. Over 10,000 miles the allowable HMRC rate drops to 25p per mile. If you are paid less than these rates by your employer, you can claim the difference on your self assessment return. More detailed information is available from HMRC. Working from home. If you are required to work from home by your employer or have a home working agreement in place with them, you are entitled to claim a home working allowance. This is to help with increased household costs because of business use, such as electricity, gas, phone. The amount you can claim at present is £4 a week. For more info see our article on the Working from Home Allowance. Charitable contributions. If you are a higher rate taxpayer and have made gift aided charitable donations, you can claim tax relief on them. For example, if you donated £200 to charity, the total donation would be £250, so you can claim back £50 if you pay tax at 40%. HMRC have more information on the relief. Clothing and Tools.If you work in certain industries, such as the building/ metal working industries, you may have to use uniforms, specialist or protective clothing, gloves, etc. You can claim tax relief on the maintenance/ cleaning/ replacement of these items, but you can't claim for the initial cost of buying the items. That is, of course, as long as your employer does not already compensate you for these costs. 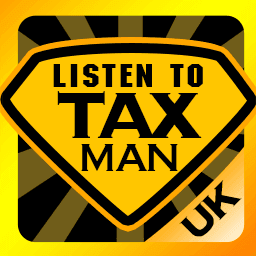 To find out more about this relief you will need to contact HMRC. Professional fees and subscriptions. You can claim tax relief on professional fees, membership fees, subscriptions, etc. if they are necessary or beneficial for your work. See HMRC for more info. To be entitled to the relief the organisation subscribed to must be on the HMRC approved list. Capital Allowances. If you have to buy equipment for work, that your employer does not pay for, you may be able to claim capital allowance tax relief. The example HMRC gives is of a filing cabinet purchased by an employee for work, but not paid for by the employer. You can not claim relief for motor vehicles. These are dealt with on a different part of your tax return. See HMRC for more on capital allowances. The way you receive tax relief for your work expenses depends on the amount of your claim. Claims up to £2,500. If your claim is £2,500 or less, HMRC normally gives you relief for your expenses through your tax code straight away. If you claim an estimated figure, they will review it at the end of the year. They will make any adjustments that are needed in your tax code for the next tax year. Claims over £2,500. If your expenses claim is for more than £2,500, HMRC will give you relief in your tax code for the current year and for the next one - and send you a tax return to fill in. They will also check your tax calculation for the previous year.